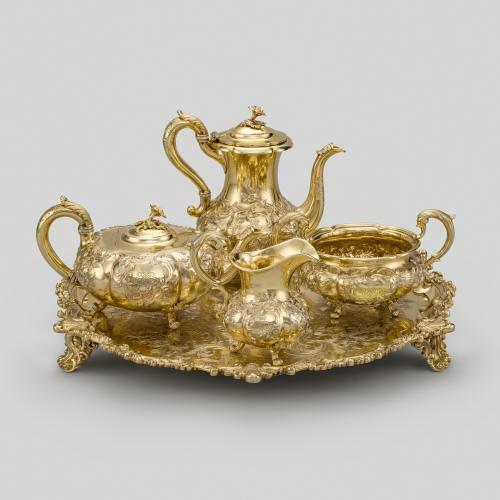 By the early 18th century, ladies of wealthy households could adorn their tea tables and elegantly serve their guests using beautiful teawares. 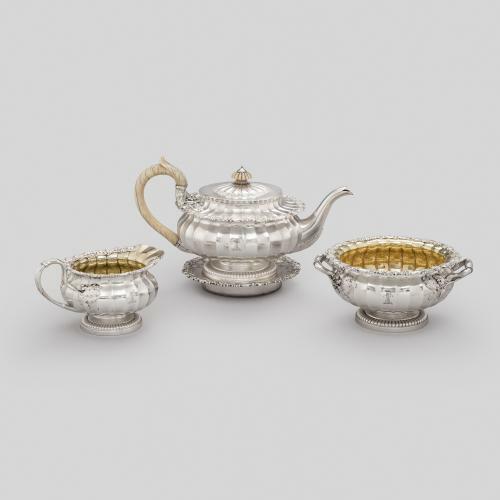 These canisters were made by the celebrated Huguenot silversmith Paul de Lamerie ca. 1732. 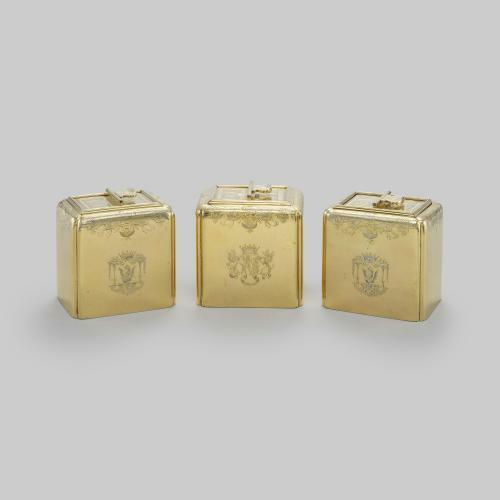 They would have originally inhabited a lockable tea chest, the key for which would have been retained by the mistress of the house to deter servants from stealing the costly tea leaves. One canister is engraved with the letter ‘G’ for green tea and the other is marked with the letter ‘B’ for bohea tea, or black tea, as it was then known. The third canister was used to mix a blend of both teas or for storing sugar and is engraved with profiles of a man and woman, referring to the owners of the canisters, the newlywed Lord and Lady Sunderland, who were married in May 1732. The arms on the canisters are those of Spencer impaling Trevor for Charles Spencer, 5th Earl of Sunderland (1706-1758) and Elizabeth, daughter of Thomas Trevor, 2nd Baron Trevor. Lord Sunderland, as 3rd Duke, succeeded to the honours of his grandfather John Churchill, 1st Duke of Marlborough, upon the death on 24 October 1733 of his aunt, Henrietta, Duchess of Marlborough. He had a distinguished career in the army and was briefly Lord Privy Seal in 1755.